Since the launch of the 1.0.6.0 to the community beta, we’ve been doing a lot behind the scenes and we’ve had a bit of a shift in position. A lot has changed since the last update already and there is more to come. We’ve been much quieter than we had previously been (which, despite how it may feel, is actually a good thing) and I will explain that. 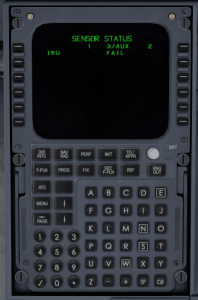 Since release, we’ve all (the TFDi team) come to realize that we were looking at the state of the aircraft the wrong way. In the professional software world, releasing an initial iteration of a program and adding features over time is not only acceptable but standard. This is exactly what we did. 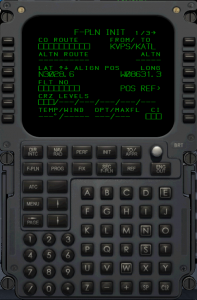 That said, that method of approaching it is unreasonable for something like an aircraft. You wouldn’t make a car without air conditioning and windshield wipers but promise them later – that is more how our release happened (but not what we intended). That leads to our shift in position – along with the community beta, which gave us a place to test things before we throw them into the official release, we’re working on not band-aiding bullet holes. First, what’s new (so far). In the spirit of more meaningful updates and permanent solutions, we started by revising the MCDU, page by page, and correcting/finishing it. So far, we’ve added the entire REF system (minus one page, which is pending a change in another system). Here are some images of it. 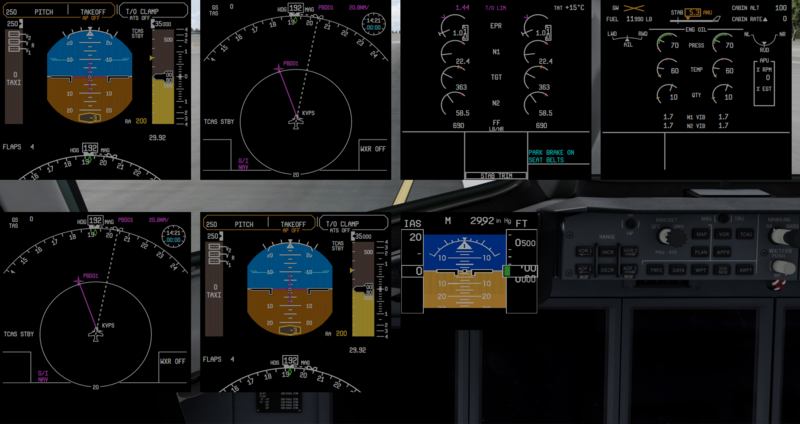 The REF system, although it may not be the seemingly highest priority, was the foundation for another feature that plays a big role during particular approaches – place/bearing/distance (PBD) waypoints. Here’s an image of that working. 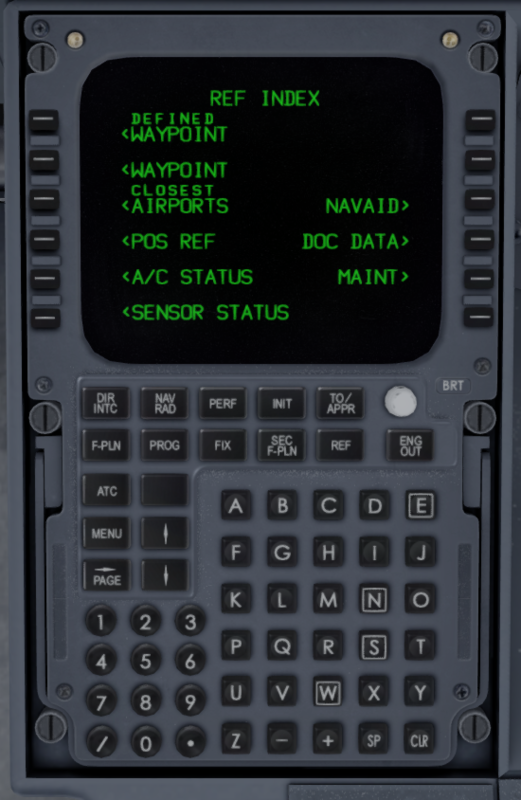 We also revisited the system that handles pilot waypoint entry, which allowed us to support latitude/longitude waypoint entry and brings both PBDs and latlon waypoint support to the FIX, REF, DIR INTC, and FPLN pages all at once. 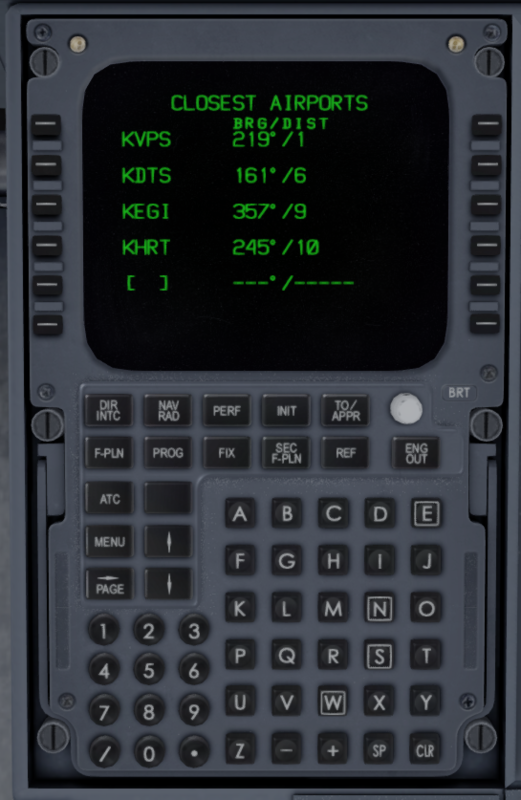 Along with the improvements to the MCDU, we’ve also added the annunciator lights for various scenarios. 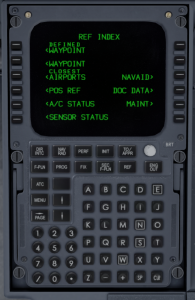 For those of you not participating in the Community Opt-in Beta (COB), we’ve added the ability to hide the yokes and 2D popups for the 6 display units, the standby display, and both MCDUs. We’ve also improved their default size and position since 1.0.6.0, as seen by their new default position below. Here is the 2D MCDU. 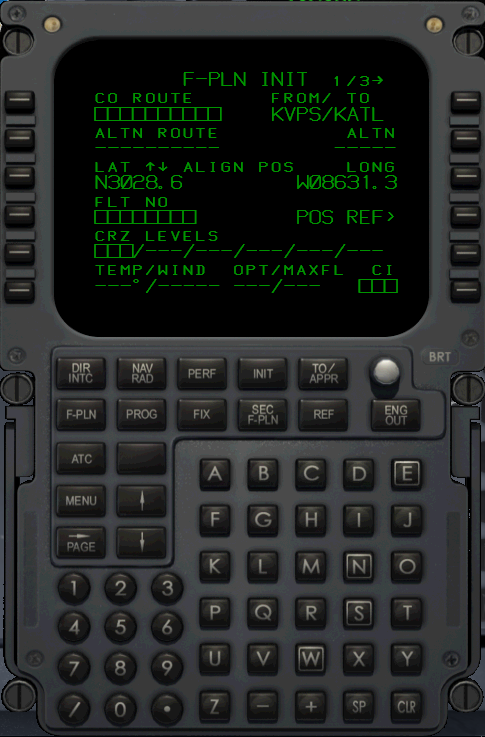 Further improvements have been made to the autothrottle system and FADEC/engine response since 1.0.6.0. 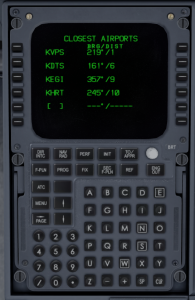 We’ve also redone the VMIN calculation which will allow the aircraft to properly fly its approach speeds (and the autothrottle can actually be trusted to fly that close to VMIN now). In addition to a slew of fixes between 1.0.6.0 (for those not in the COB) and 1.0.6.1, we’ve fixed one of the major issues not covered by other systems – the sound spool down during takeoff. 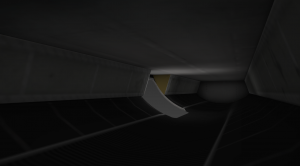 The sounds work as they should during takeoff and climb now. 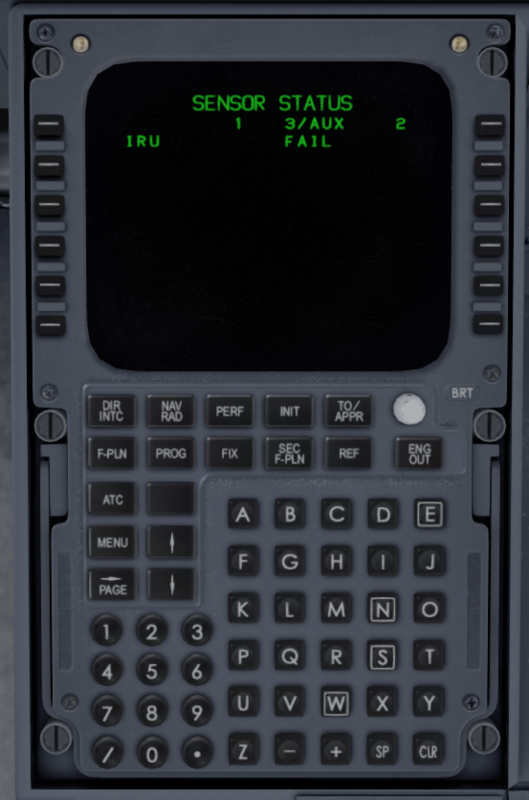 We’ve also launched our advanced crash debugging system to help us isolate and solve the remaining CTDs. Performance remains an issue for a handful of users and we’re still looking at it, but just as we focused on performance/stability initially, now we’re focusing on the airplane as a whole before polishing it again. It’s a process but we’re on the right side of it now. We’ve got a lot of big items on our to-do list and some that are in progress. Here are a few major items that I can’t show off quite yet but will make it into the next release. In addition to those, we’ll be continuing through the MCDU and finishing it, both in terms of stability and functionality. Once the MCDU is at a place we’re happy with it, we will begin the same process on the autoflight system to squash the rest of its bugs. 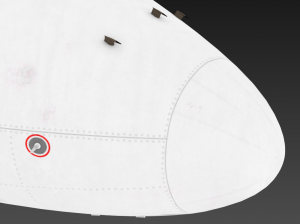 Once both of those are complete, along with the rest of the bugs we’ll fix and requests we’ll honor, the aircraft will be borderline unrecognizable from its initial release in December. While improvements have been made to the systems, I’ve been working on a ton of enhancements to the exterior. To give some background, the original artists who did the modeling/texture work on both the exterior and interior left a lot to be desired. 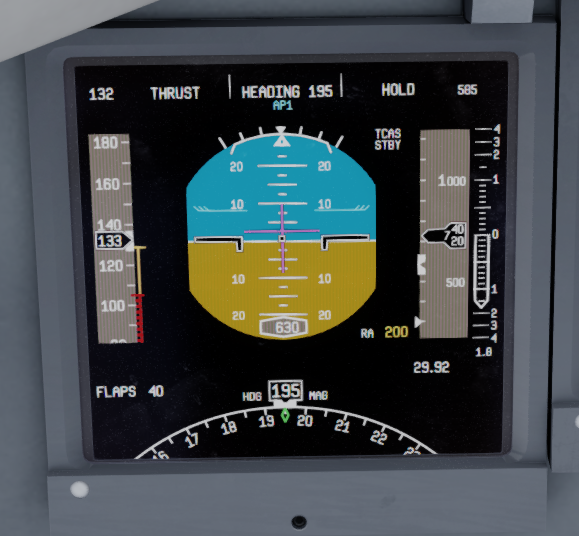 Over the last two years of development, I’ve done a ton of work on the cockpit to bring it up to our standards and to represent the real aircraft as closely as possible. As we approached the end of development, we ran out of time to revisit the exterior. 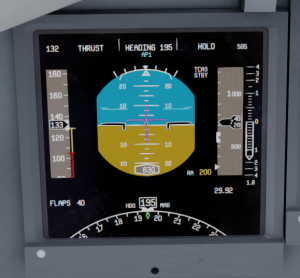 Since release, I’ve been working to bring the quality of the exterior up to that of the cockpit. It was for this reason that we have continued to hold the release of the paintkit to the public. Since many of the changes made have been to the textures (and there have even been a few mapping changes), we didn’t want to release the paintkit, only to end up releasing an update that would break all repaints. 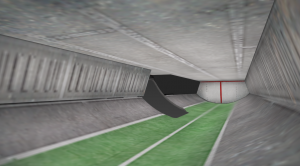 As well, here’s a before and after of the cargo bay textures. For the sake of comparison, here is a before and after of the nose. We’ve been quiet while we were working this time. We’ve been focusing primarily on getting the improvements done and plowing through the prerequisites to pave the way to permanent answers. Rest assured, although you haven’t heard as much from us, we haven’t retreated away. We will release 1.0.6.1 to the COB when it’s in a good place, but we’re reworking some areas at the moment. 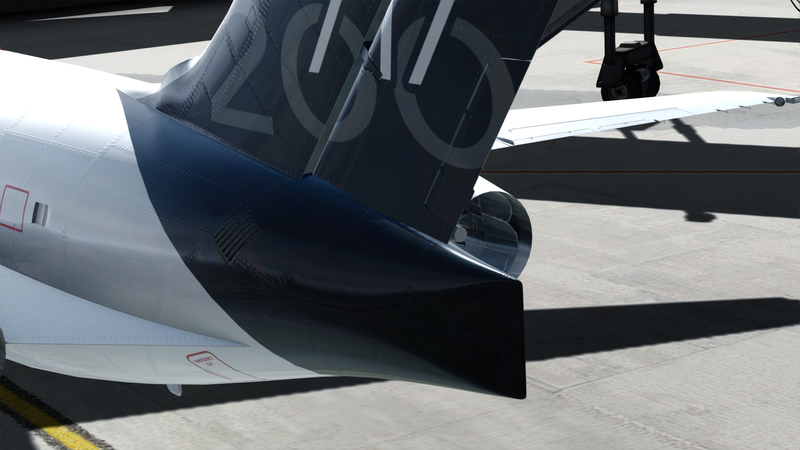 We highly encourage anyone interested in helping us polish the aircraft to participate in the COB. 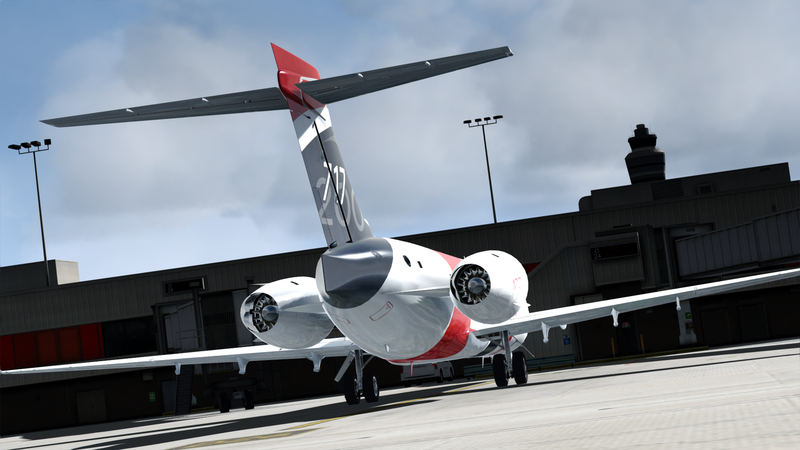 Our goal is to have the aircraft essentially complete before the next major non-beta release. I encourage you to check out our changelog here and the development tracker here to stay up to date with our changes and have your feedback heard.